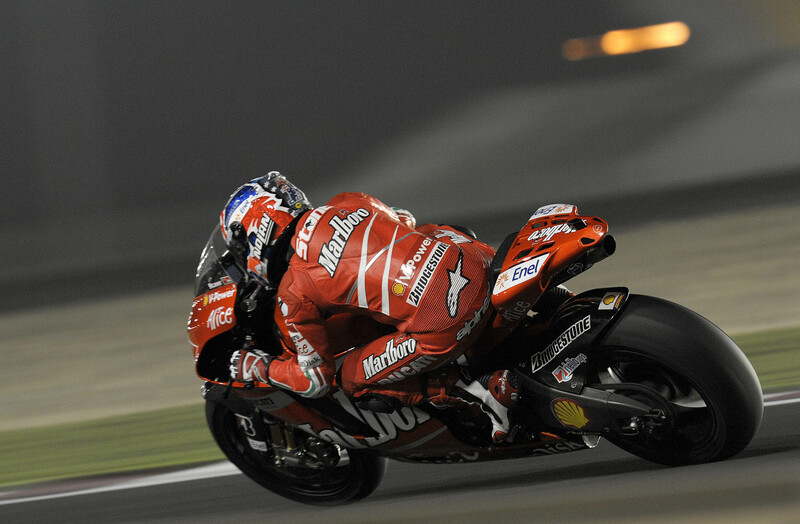 Qatar MotoGP 2008. It’s Casey, and the sunshine’s banned! Case’s bike was unstoppable the year before, thanks to a killer top end that no-one else could match. The opposition was catching up though – Yamaha rookie Jorge Lorenzo finished second at Qatar, and Valentino Rossi took the ’08 title on his M1.